From New York Times bestselling author Melissa Marr comes a new adult novel, thoroughly original and wildly imagined, about how our sins come back to haunt us. The Wasteland is a world beyond our own. It is a rough and ragged landscape under a two-moon sky, inhabited by monsters and creatures that could almost pass for human. Into this alternate world unwitting people are brought, from both past and present, for reasons none of them know. Chloe Mattison goes to sleep, drunk and heartbroken, in Washington DC, and wakes up in the Wasteland. Chloe is welcomed by Jack and Kitty, brother and sister from a Wild West frontier town. “You’re one of us,” they tell her, yet neither Jack nor Kitty, nor any of their companions, know why they were chosen. Two questions loom large in all of their minds: why are we here and is there a way out of this corrupt, demon-filled world? 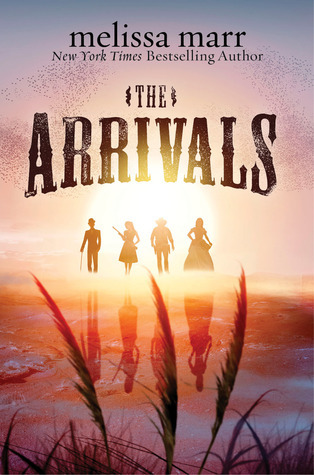 Equal parts The Matrix and The Wizard of Oz, The Arrivals is a page-turning adventure set in a world you will not soon forget.